It was 1929 when this quip appeared on the book jacket of “Dawn Ginsbergh’s Revenge” by S. J. Perelman. Find out more about the quote at Quote Investigator. And here's to a New Year where our stories get read... and still enjoyed! 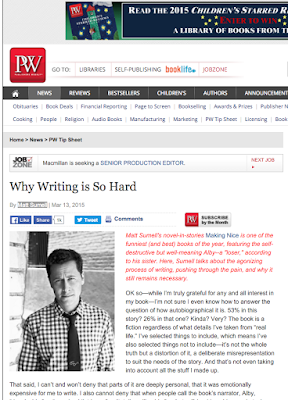 When What You Write Is "Emotionally Expensive"
I thought this PW piece by author Matt Sumell, "Why Writing Is So Hard" was acerbic, funny, and ultimately, hopeful. 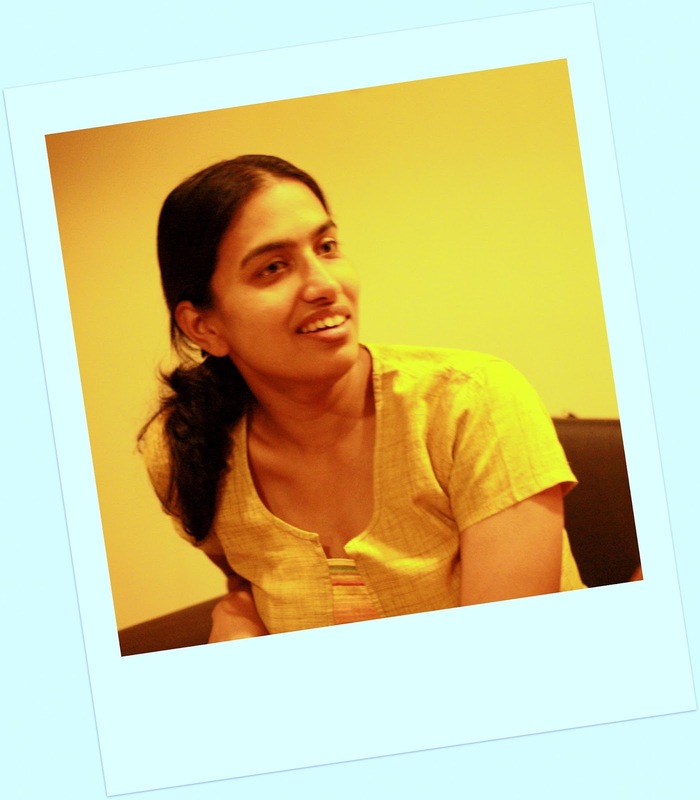 "...as a writer who sometimes uses personal experience as a way into a story, it can and often does get complicated." "Every story is different, and every story comes with its own specific difficulties, so every story also comes with its own specific anxiety and panic until it’s done. Only—as they say—it’s never done, just abandoned." 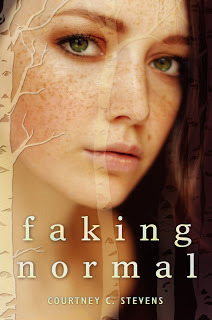 "But whatever I lacked in ability I made up for with a stubbornness that borders on diagnosable." SCBWI Board Member and Newbery Award-Winning Author Linda Sue Park speaks at TEDx Beacon Street about how books provide practice at responding to the unfairness in life with both grace and grit, and how empathy for a book's characters can lead to engagement in ways that have significant impact in the real world. Find out more about Linda Sue Park and her books at her website here. #NY16SCBWI - The Perfect Gift For Your Writing/Illustrating Career! It's a weekend with the top editors, agents, art directors, authors and illustrators in the children's publishing world. The Annual Winter Conference in New York City is an excellent opportunity to learn, get inspired and network with others in the children's book industry. from William Joyce, Kate Messner, Jacquelyn Mitchard, Rainbow Rowell, Gary Schmidt, Linda Urban, and Rita Williams-Garcia! 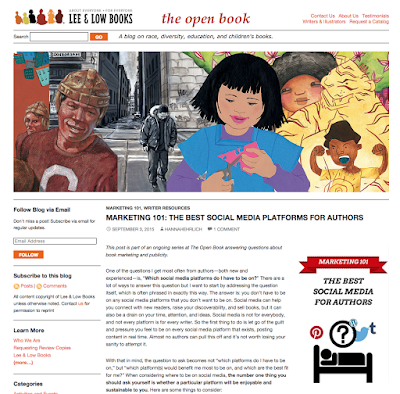 on picture books (text and art), middle grade fiction, nonfiction, revision, plotting your novel, series fiction, Young Adult fiction, creating teen characters, illustrating for middle grade, graphic novels and YA, writing for a diverse audience, writing a great query letter, working with an agent, building an effective portfolio and so much more! There will also be an art browse, Gala Dinner, socials, presentation of the Tomie DePaola Award, the Jane Yolen Mid-list author grants and the Portfolio Showcase Awards, and an autograph session. Most of all, it's a deep dive into the inspiration, opportunity, craft, business and community that SCBWI offers. You can find out more about the conference faculty here. And to find all the conference information, and to register, click here. Happy Holidays, and we hope you'll join us at #NY16SCBWI! In the California/Hawaii division, the 2015 Crystal Kite Award goes to "Bombs Over Bikini" by SCBWI North/Central California member Connie Goldsmith. Lee: Please tell us about your Crystal Kite-winning book! 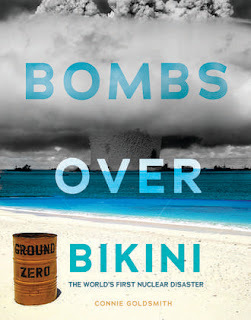 Connie: Bombs Over Bikini shows how the U.S. nuclear testing program in the Marshall Islands after World War II affected several once-pristine Pacific atolls, and how the resulting radiation impacted a two-thousand year old island culture. A story in the local newspaper described a reunion of the ‘radiation refugees’ and I knew I had to find out more. Please take a look at the trailer that a group of 6th grade Sacramento filmmakers made. They found all the archival military film footage and added the special effects to produce an outstanding book trailer—the first they’d ever done. Lee: It's a great book trailer! How long have you been involved with SCBWI, and can you share what you feel you’ve gained by being a member? Connie: I joined SCBWI in 1997 when I first started to write after leaving my full-time day job as an RN. In 1999, SCBWI selected my work in progress as runner-up for the WIP nonfiction grant. That manuscript went on to become my first book, “Lost in Death Valley: the true story of four families in California’s Gold Rush,” published by Millbrook Press (now part of Lerner) in 2001. SCBWI has been a major contributor to my writing career since the day I first joined. The professional and social contacts are amazing. Many of the writers and illustrators I’ve met over the past few years will be my friends forever. And SCBWI conferences are a good place to get up close and personal with agents and editors and art directors. Connie: Presumably, people reading this blog are SCBWI members, but if not, join immediately. Once you’ve gotten your feet wet, volunteer, volunteer, volunteer. Then, do a little more volunteering. All the time and effort you invest as a volunteer comes back to you double! It’s like an investment that’s guaranteed to only go up. Read in your genre—a lot! So many people new to children’s writing say they want to write a picture book (a very tricky task indeed). Broaden your horizons. Look at writing for children’s magazines. 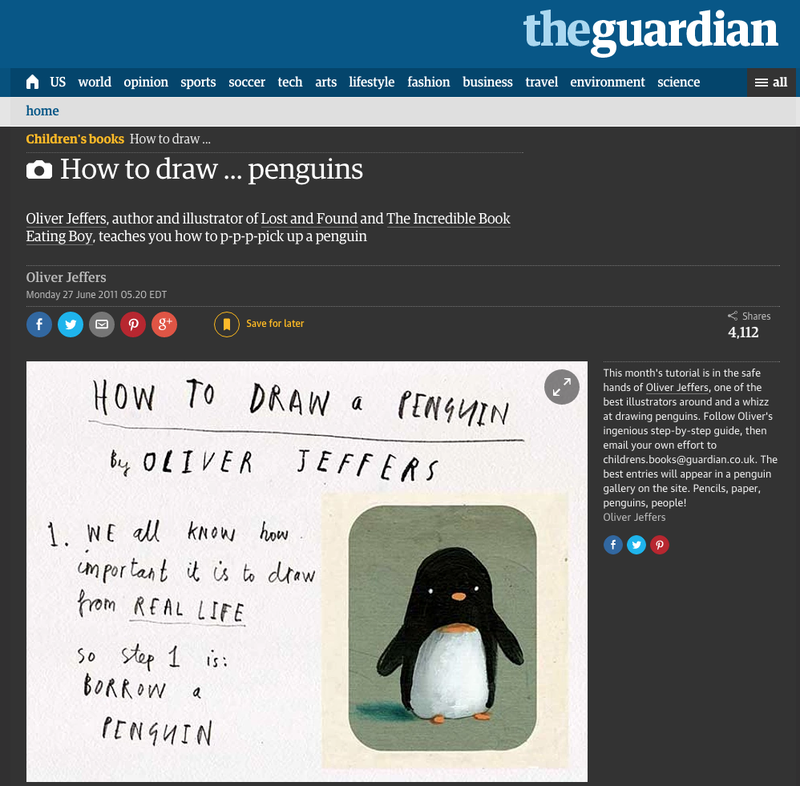 Review children’s books for your community newspapers. And especially, consider nonfiction. IMO, juvenile nonfiction is the place to be today. You are an expert at something—or you will be by the time you’ve researched a topic dear to your heart. 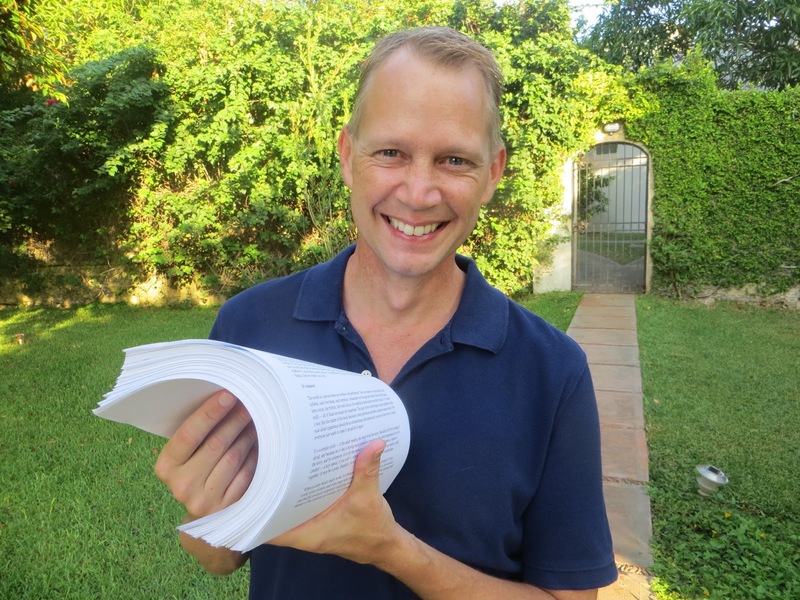 Write a good book proposal, and turn it into a contract for your first (or fifteenth) book. 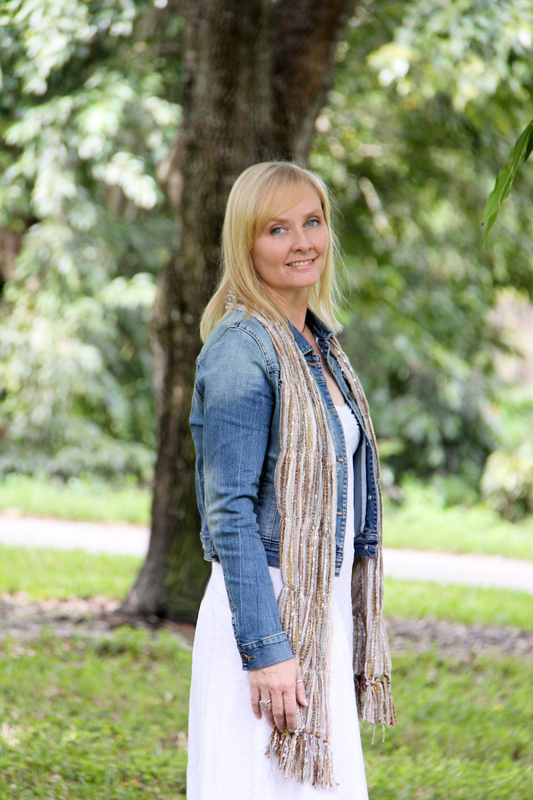 You can learn out more about Connie at her website here. And check out SCBWI North/Central California's events, newsletter and community at their online home here. Congratulations to Connie for "Bombs Over Bikini" winning the 2015 Crystal Kite Award! One of the first tasks in revising my current WIP has been to nail down a firm time line for my story. When does all this stuff happen? I had it vaguely placed in the 21st century, but I didn’t want to nail it down specifically. It’s the EveryMan problem. Some writers try to create an EveryMan, a character who can stand in for everyone and anyone. 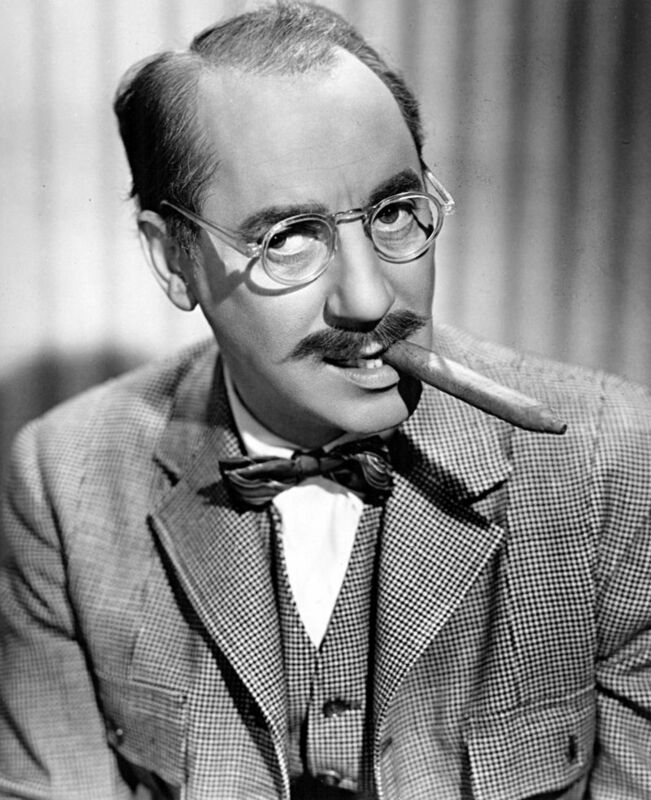 In doing so, though, they create a generic character who fails to engage the reader and becomes NoMan. To write something universal, you must do something that intuitively feels like a paradox: you must write one specific character. Only by doing this do you have a chance of letting the character live in the reader’s imagination in such a way that the character stands in for EveryMan (or EveryWoman). I was making the same mistake with the timeline of my sff story. By refusing to set it in a specific time, I was going too generic. However, I also see the wisdom of waiting till I finished the first draft to nail down the time line. It will mean, perhaps, that I have more revisions to do; however, I feel that it’s a strength to have this first draft done to see how the timeline extends into so many places. How Old are Your Characters? One of the first things I’ve done is write out everyone’s birthday. The main villain was born in 1980, and his son–the minor villain–was born in 2013. That means the father was 33 years old when his son was born. It was his first child, so why so old? It make sense within this story because the father is a scientist who buries himself in his work and generally neglects his family. He didn’t marry till after he’d done a post-doc in volcanology, and after his son is born, he travels extensively for his work. This affects the father-son relationship! The timeline forced me to think about these aspects of character. I also knew that the main character is 14. Okay. How old are his parents? A minimum of 30, but they could be as old as 50 or so. What made sense for their relationship? World Events. Slotting characters into a personal time line also means they exist in the world at a particular time. If someone was born in 2001, for example, was it before or after the World Trade Center bombing? The world tilted on that day and it’s important to place your character in the context of world events. But even in a wider context, I needed to place this science fiction story in the context of astronomer’s exploration of the universe. The Kepler Space Observatory was launched in 2009 to search for planets similar enough to Earth that humans could live on them. I had to consider the timeline of their findings, and make sure my characters and the plot were aligned with that. Imagined Events. Only once these elements were in place did I try to place my imagined story elements. Science fiction is only believable when it fits into the established world. I had to make sure that the events were believable in the context of the real history of our world. That doesn’t mean that I can’t do crazy and wild things–science fiction can and does stretch the imagination. It does mean that the events need to be based on some bits of truth that will lend it credibility. World building for fantasy or science fiction is crucial. Rules are set up that control the story world, and once set up, the story is stronger if you stick to those rules. The timeline–in this revision of the first draft–was a crucial thing for me to nail down, and it’s adding surprising depth to the story. My thanks to Darcy for allowing me to reprint this blog post here. Consider that 'the specific is universal' rule applies not just to characters and timelines, but also to other elements of our stories, like setting! 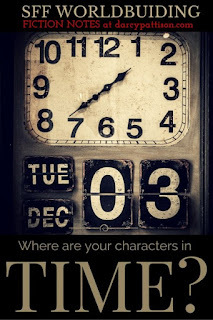 And, could a timeline help you with whatever project you're currently working on, even if it's in another genre? 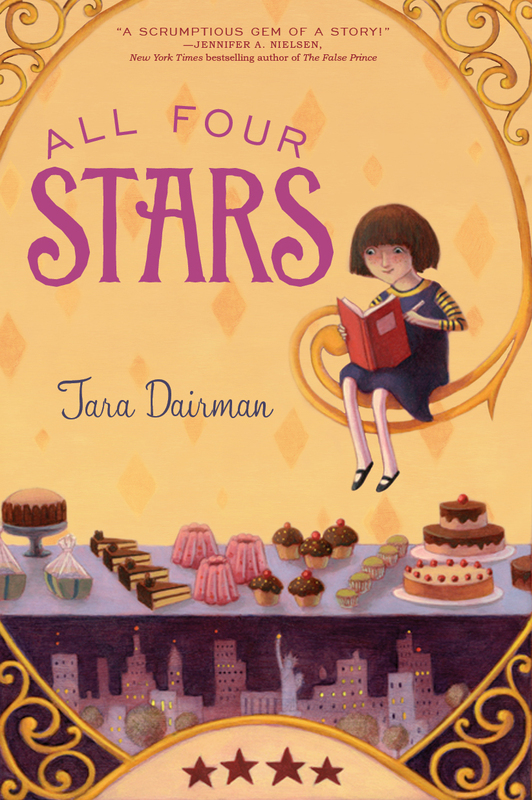 You can find out more about Darcy and her books at her website here. 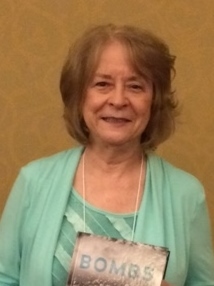 In the Atlantic division, the 2015 Crystal Kite Award goes to "Pandemic" by SCBWI New Jersey member Yvonne Ventresca. Yvonne: Pandemic is a young adult novel about an emotionally traumatized teenager struggling to survive a deadly bird flu outbreak. The story is more about the experience during the disaster than the aftermath. I found it interesting to think about not only the practical implications of a contagious disease, like potential food shortages, but also about how fear would change social interactions. Dire circumstances can bring out the best and the worst in people and I wanted to explore that in Pandemic. LeeL How long have you been involved with SCBWI, and can you share what you feel you’ve gained by being a member? Yvonne: I’ve been an SCBWI member since about 2002 and over the years I’ve attended over 30 SCBWI-sponsored events. Besides the opportunity to meet industry professionals, SCBWI gave me the chance to interact with other writers and illustrators. Those peer connections, the energy from other creative people, the encouragement and friendship we offer each other—that’s been a huge benefit of SCBWI. Yvonne: Author Richard Bach said, “A professional writer is an amateur who didn’t quit.” Persistence is definitely key in this business. Pandemic was my debut YA novel, but it was actually the fourth one I’d written. I received 151 rejections along the way to publication. It’s important to keep trying, because 152 may be your lucky number, too. Lee: I love knowing that - thanks for sharing! I met Yvonne when I first joined SCBWI back in the mid-2000s, and for as long as I can remember she has always been an active member—volunteering and participating in many of the varied events the New Jersey chapter has offered over the years—especially the summer conferences and fall craft weekends. Her dedication to the craft (and to the chapter) is also evident through the workshops she has graciously given—from plotting strategies, to organizational pointers, to computer technology tips. Yvonne has always been kind and supportive to her fellow members and works diligently to hone her own skills, too. We were thrilled when we found out Yvonne won the Crystal Kite for PANDEMIC. This award is much deserved and reinforces in such a positive way how much all her hard work and dedication has paid off. Congratulations Yvonne! You can find out more about Yvonne at this website. And learn more about SCBWI New Jersey here. 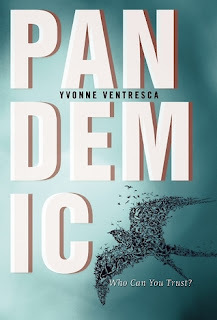 Congratulations again to Yvonne for "Pandemic" winning the 2015 Crystal Kite Award! Below is my story of perseverance from the start of querying all the way to publication. It isn’t pretty. 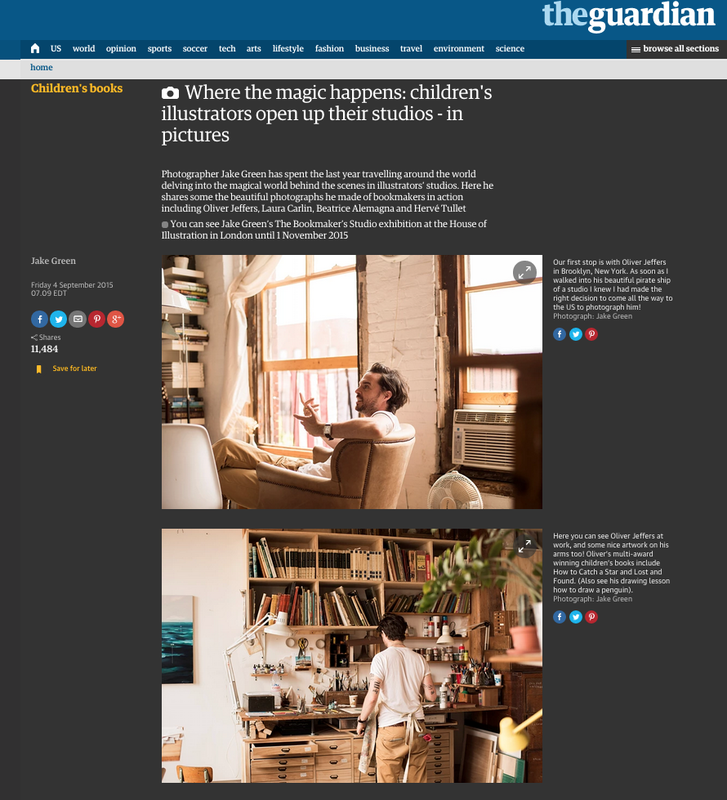 It’s messy and embarrassing, and if you didn’t love writing as much as all you SCBWI’ers did, it would surely scare you away from beginning the endeavor of publishing. You’ve been forewarned. I’ll tell you my story of perseverance, and before you get to the end and think…well, sure she slaved away to get her book published, but it’s not like this Rori Shay is a household name or anything…then I’ll tell you about another author who you’ll be amazed spent WAY more time and brain cells trying to get their book published than I did. And perhaps their story may convince you that half of publishing a book is the perseverance you put into getting it out there into the world. Halfway through my year of querying, I joined SCBWI and got more professional about my approach. Within that first year, I queried 82 agents. I was told by others that I should query 300 agents! If my book wasn’t picked up by any of those agents, then I should shelve the book and work on something else. So when the 82nd agent said yes, I felt pretty good about it. I’m also one of those people who wrote a first book, queried it, didn’t get any interest after 100 rejections, put it aside, and wrote a second (the one I queried in this story.) Most of the authors I know have a book or two stashed somewhere that didn’t get published. Can you imagine? There are a whole breed of people who spend years writing a novel, and have to deal with knowing that it sits, untouched, unread, in a file folder somewhere. So, anyway, I got a yes response from the 82nd agent! She was new to the industry, but so was I. I figured if she could take a chance on a new author, I could take a chance on her. She turned out to be a fantastic editor. She suggested things for my book and spent more time editing it with me than all of my future professional editors combined! But when it came time to querying, my new agent didn’t have the connections I’d expected. When the first offer came through for an e-book only with no advance, to a place I hadn’t know she was querying and that I’d never heard of, she recommended I take the offer. And unfortunately…unwisely…so stupidly…I did. The authors and editors I met at that first publisher were great. I learned so much about promotion and the industry through them. Unfortunately, none of them…nope, not a one…it turned out, were getting paid by the publisher. When the editors and cover artists began realizing the promises of a payment weren’t coming to fruition, one-by-one, they left. It was still one month before my release date, and I didn’t see anything moving forward, but my agent said I had to stay with the publisher until they actually failed to complete the terms of my contract. So I waited. 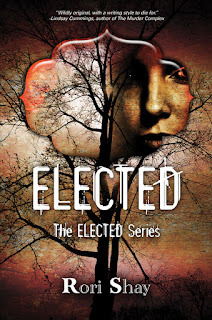 And a week before my release date, when I’d already had the plans for a book launch party underway and had told all my friends about the upcoming release of ELECTED, my publisher folded. Not only did it fold, but no one ever got paid, and fraud was discussed. The authors who were left all told me they’d stayed with the publisher for so long only because I had. Because I was the one with an agent, and if someone like me had stayed, they should, too. I had to laugh, because in all of this, we were all so confused and scared to talk to each other in fear of offending the publisher. Once the pub folded, information flowed through us author-colleagues like butter, and I ended up learning much more about the industry. My ideas for a release of my book that year started to dwindle, but I kept my head up and discussed it with my agent. We would put out twenty more queries. If those didn’t work, I’d self-publish. I was ok with this idea, actually, and I had high hopes that in the last year my agent had gained much more knowledge about the industry that she could use to sell my book. But then, a week later, as if my luck with my book couldn’t get worse, my agent called and told me she was leaving the industry. My book would still be repped by the parent agency, though. So I waited expectantly for the owner of the agency to contact me, and when she didn’t, I messaged her. We agreed to talk. My ears were pricked at this point, listening for any falsehoods. I was that scalded by my publishing experience so far. So when I finally got the agency head on the phone and she didn’t sound enthusiastic about my book, not even remembering who I was, I decided to sever that tie. So here I was. No agent. No agency. No publisher. A blog tour with 150 people who I had to now give my regrets to. And a restaurant where I’d already put down the payment for a release party. At any moment there, I bet you’re waiting for me to say I put the book aside. That I wrote a new book entirely. That I shelved this one on top of the first. Or maybe even stopped writing. It would have been easy to do any of those things. It looked like a hundred doors were slamming in my face, all at the same disturbing time. But it’s the little things in life that sometimes make the most difference. Things you don’t even realize you’re doing are cogs in a greater wheel, and they can turn out to be the big turning points. And that was history. I spoke with the heads of that publisher the same week, and now The ELECTED Series has been released through the boutique sci-fi publisher Silence in the Library. So my sci-fi dystopian, ELECTED, is out there in the world, in hardback and paperback, in ebook, and with a book trailer. All out of nowhere. When I was least expecting it. 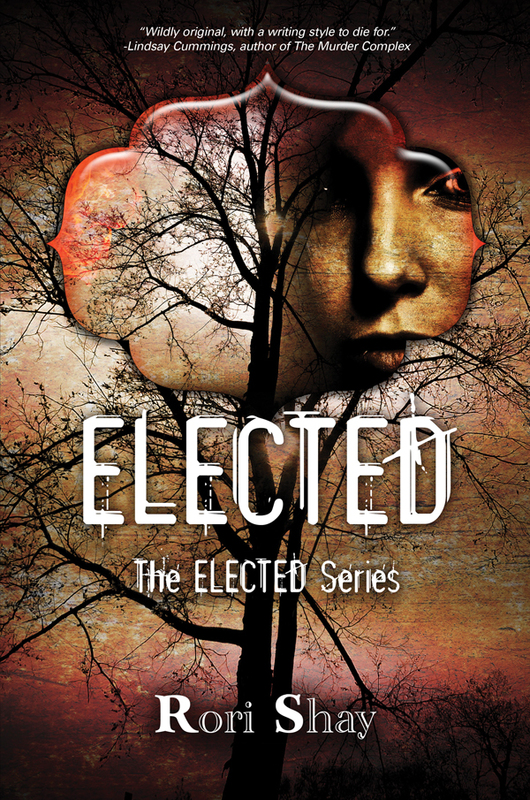 ELECTED became an Amazon bestseller, for a period of time, even being placed among the top 100 sci-fi books next to Hugh Howey’s WOOL! And it got 25K reads on Wattpad in three months. Plus, there are fans! Fans that send fan art! Fans who talk to me about my characters Aloy, Vienne, and Griffin like they’re real people! Fans who say that the gender issues discussed in the novel helped them feel stronger! Now I have a new agent (a highly experienced one), and a couple more books in the hopper. My author career is still just starting out. It has been a rocky start, for sure. 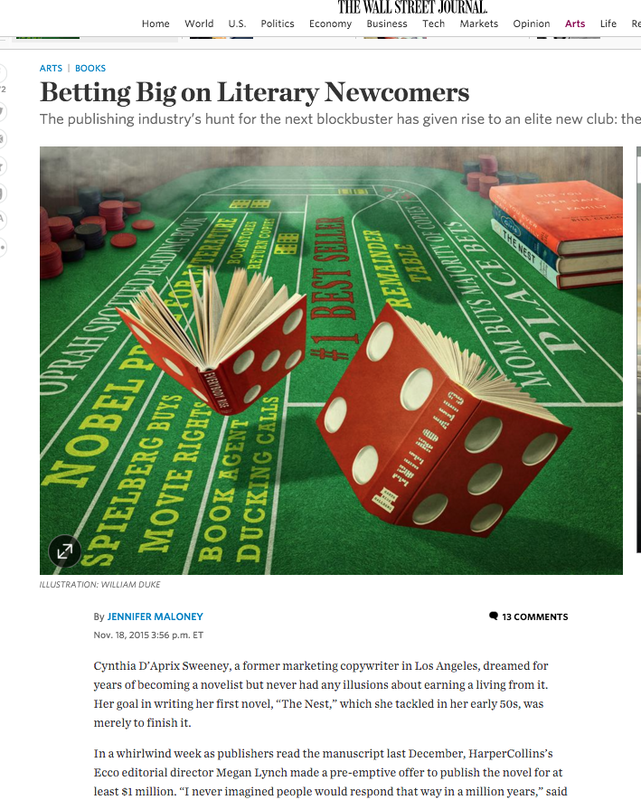 That’s why I love reading about big-time authors who’ve also persevered against rejections. I just finished reading a short biography and journal of Beatrix Potter. Yep, not Harry Potter. Beatrix Potter! Did you know that Beatrix Potter was rejected by so many publishers, she decided to self-print 250 copies of Peter Rabbit just for her friends? 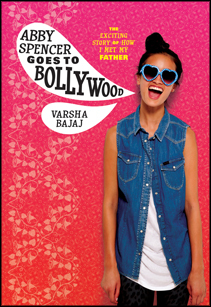 It was sold in a few bookstores, and through word of mouth it gained popularity. Only then was it picked up by a traditional publisher. Another rejection today for my “Tale of Peter Rabbit and Mr. McGregor’s Garden”. The publishers Frederick Warne and Co. seemed interested and I went today by appointment to meet Mr. Harold Warne. But he wants a bigger book, which I cannot do, and we had arguments. (It is odious to a shy person to be snubbed especially when the shy person happens to be right). If no one will accept the book as it is, I will get it printed myself. If she and the publishers only knew how important Beatrix Potter’s book would become in children’s literature! This year I took my kids to a Beatrix Potter-themed puppet show. It was so cool to see dozens of kids laughing along to the tales of the two bad mice, Jemimah Puddleduck, and Jeremy Fisher the frog. It’s over a hundred years later, and these stories still resonate with children. And to think even Beatrix Potter received her share of rejections. Unbelievable! Makes you ponder: if you just keep going, plowing on ahead, getting more experience with your craft and trying new avenues, great things can happen. That if people like Beatrix Potter can bounce back after having their writing turned down, we all might have a chance too! 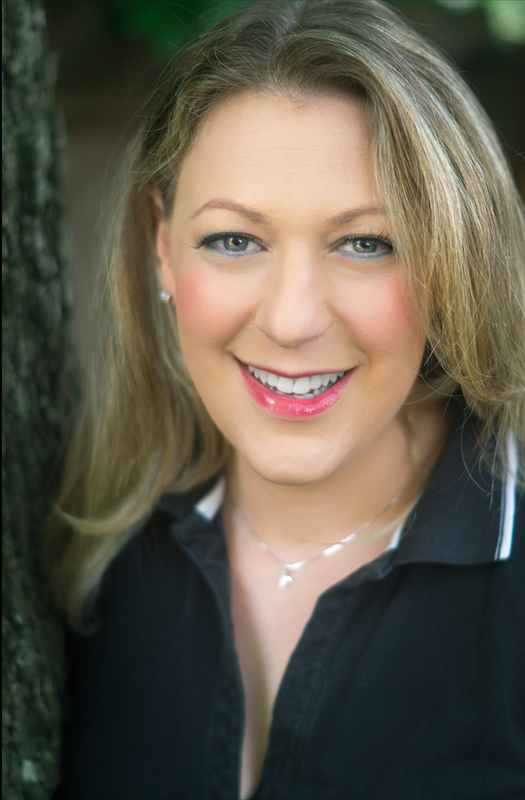 Rori Shay is a strategic management consultant living in the Seattle area with her family, black lab, and cat. In the writing world, Rori is primarily known for her science fiction trilogy, The Elected Series. 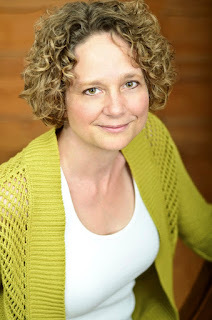 She enjoys running, reading, snow-shoeing, pumpkin-picking, and right now… writing a new sci-fi novel! 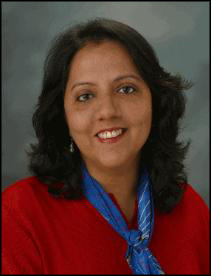 You can visit her website at www.rorishay.com. 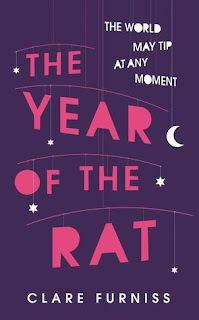 IN the UK/Ireland division, the 2015 Crystal Kite Award goes to "The Year Of The Rat" by SCBWI British Isles member Clare Furniss. Clare: I’ve been involved with SCBWI for six years now and I have gained so much from being a member. 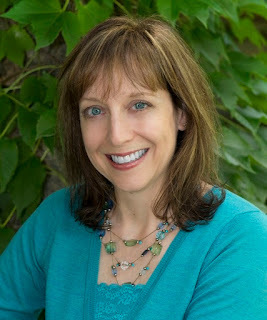 I first met my agent, Catherine Clarke of Felicity Bryan Associates, at a SCBWI Agents Party. I’ve benefitted from inspiring talks and workshops at conferences and also had the support and encouragement of many fellow writers, published and unpublished. It’s a wonderful community to be part of. Clare: Persevere! Success can take a long time coming - it took me five years to write "The Year of The Rat!" It pays to be patient and stay determined. It’s not easy, but having a community of writers and illustrators around you is a massive help when you’re going through the hard times - and that stays true after you’re published too. The SCBWI British Isles region is the largest region outside the US and is now highly-regarded by British industry professionals. We run over 30 annual events around the country, including masterclasses, workshops, a PULSE programme for published members, two retreats, events at festivals such as the Edinburgh International Book Festival, critique groups and an annual two-day conference with an illustrator showcase (which later tours the country) and mass book launch party. You can find out more about the conference here. Our region's online magazine blog, Words & Pictures, features new content every day with interviews, tips and discussions about the latest developments in publishing. This year we are once again running our Undiscovered Voices competition, in which selected unpublished authors and illustrators are given the opportunity to be talent-spotted by industry professionals. 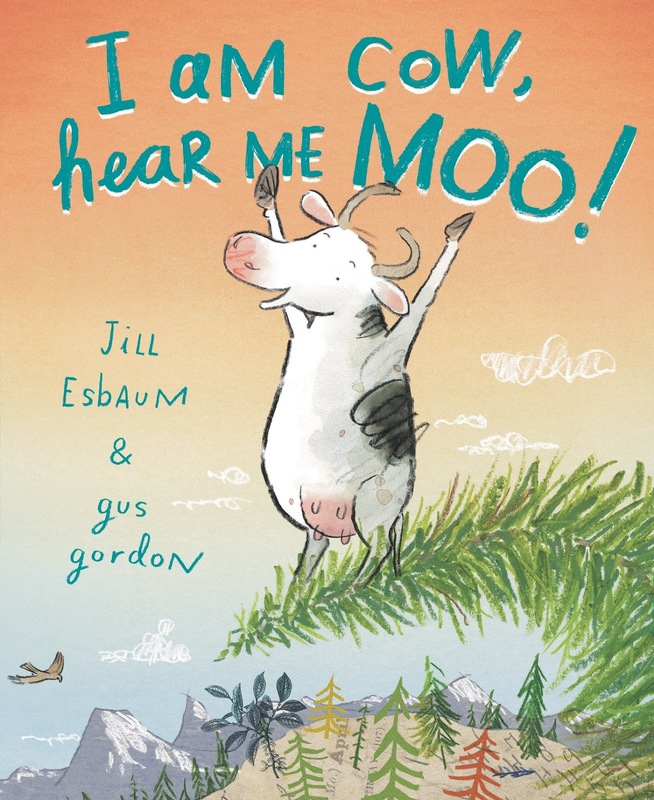 From the four previous anthologies, Undiscovered Voices featured authors and illustrators have received publishing contracts for more than 120 books. 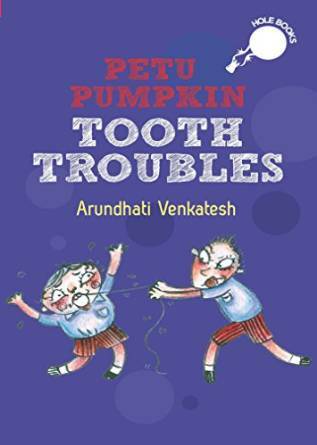 The authors have been nominated for and won an amazing array of literary prizes: including the Carnegie Medal, Waterstone's Children's Book Prize, Branford Boase Award, Blue Peter Award, the SCBWI Crystal Kite Award, and over 30 regional awards. Learn more about Clare at this website here. And find out more about SCBWI British Isles here. Congratulations again to Clare for "The Year Of The Rat" winning the 2015 Crystal Kite Award! 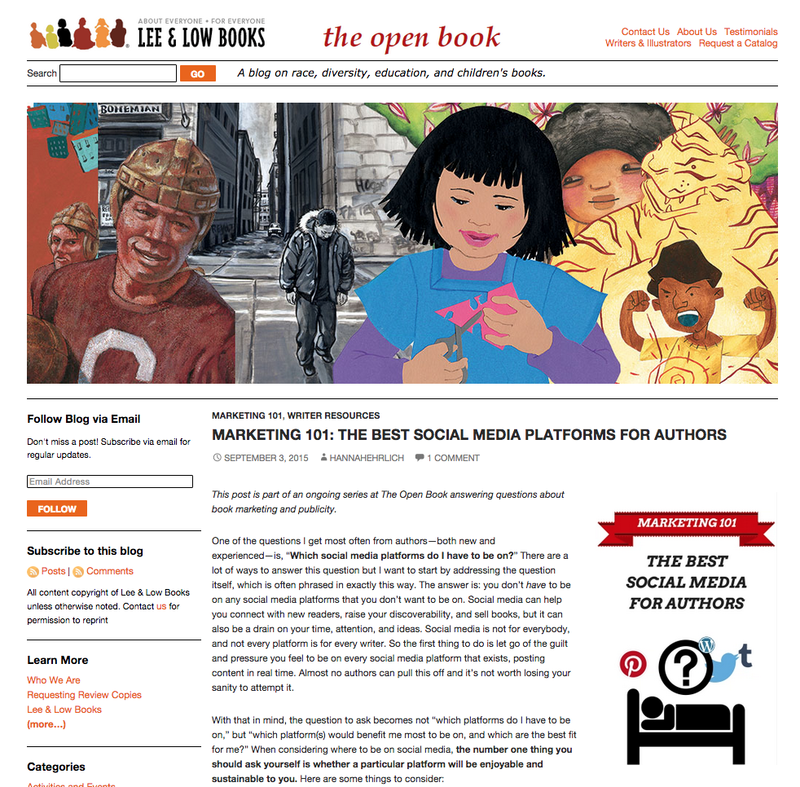 The SCBWI online Book Launch Parties will appear on scbwi.org three times a year as a fresh and innovative way for SCBWI members to boost visibility and sales of their new books. And they launch today! "Creating this Book Launch Party initiative is a radical step for SCBWI. The children's book martketplace is full of high-quality books that never achieve the success they deserve. The SCBWI will now include in our mission statement the goal of helping our members increase discoverability and sales of their work. Our community needs to come together to help all children's books, not just the high profile titles, find a way into the hands of readers." For the inaugural launch, over 450 books published in 2015 have party pages up - you can browse and discover your next favorite title! 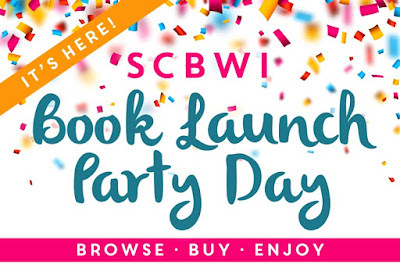 And look for the hashtag #SCBWIparty on Twitter and Facebook to keep up with what's happening with the Book Launch Parties. 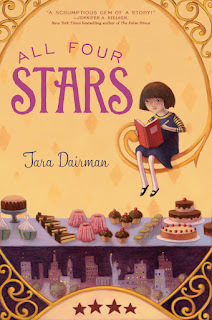 We'll be featuring a handful of book launch parties here on SCBWI: The Blog over the next few weeks, but you don't have to wait... Visit scbwi.org now and click into all the fun! In the Southeast division, the 2015 Crystal Kite Award goes to "Just a Drop of Water" by SCBWI Florida member Kerry Cerra. Lee: Hi Kerry, please tell us about your Crystal-Kite winning book! 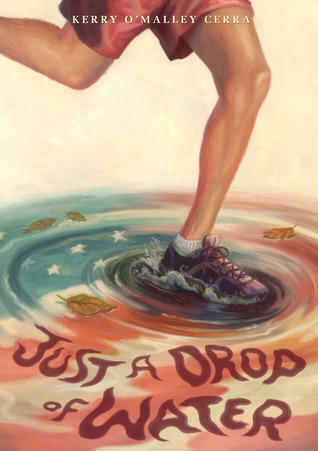 Kerry: Just a Drop of Water is a middle grade book set in Coral Springs, Florida. It tells the story of two thirteen-year-old boys—one Christian, one Muslim—and how their friendship is tested in the wake of 9/11. That’s the short pitch of it, but it’s also a book about loyalty, family relationships, friendship, and most importantly…peace. While the terrorist attacks on Sept. 11 were tragic, I hope we can learn from them. Acceptance is the key to peace, and that begins with children. I don’t mean acceptance of terrorism, but acceptance of religious, cultural, racial, and all other differences to eventually create a world where we can live side by side. I hope that Just a Drop of Water is a step in that direction. Lee: Can you share how the middle grade novel came about for you, premise to evolution to manuscript? Kerry: Pretty quickly after the 9/11 attacks, it was discovered that Mohamed Atta—the lead hijacker of the plane that flew into the north tower in New York City—lived in our Florida town. Fear was already heightened throughout America, but this information almost paralyzed me. I had three small kids, and I couldn’t help but wonder if we’d seen Atta around town somewhere. At the same time these scenarios were running though my head, I discovered that a close college friend—who is Muslim—was having a difficult time and that his parents, who lived in the Florida town where the terrorists took flight lessons, were being questioned by the FBI. I wish I could say I believed their innocence in that moment, but it would be a lie. I’ve never really forgiven myself for that. Once my head cleared and the fear subsided a little, I knew—with all that is in me—that they were innocent. I started to wonder why I had doubted them in the first place. And, I wondered if my kids, at their young ages, would have ever doubted their friends. At what age does one go from trusting and innocent, to fearful and jaded? These questions wouldn’t let up in my mind, and I may have begun subconsciously plotting this novel before I even realized it. Having said that, I’m a pretty shy person—that kid in the back of the classroom who never raised her hand. But I hate injustice! Prior to September 11, I was never one to publicly speak out against anything. When I heard about some of the things my Muslims friends endured in the weeks following 9/11 and heard some of the stories of hate crimes being committed against Muslims and to mosques around the country, something sparked in me and I knew I had to write this story. We cannot be the same people the terrorists are. We cannot lump people together by religion, culture, race, or any other means of discrimination. I am afraid of terrorists. I have some fears about Islam because I don’t know it well. But, I do not fear my Islamic friend because I know him. We have to remember the humanness of every individual person and treat them accordingly. This novel is my way of reaching the one age group I have the most hope for regarding our country’s future. Kids. If they can learn to accept people for their differences and work together instead of against each other, then I think there’s a lot of hope for the future. Just a Drop of Water is my way of finally speaking out, publicly. Kerry: I’ve been a member of SCBWI since 2006 and have loved every single minute of it—especially the conferences. I remember my first one and could hardly speak a word because I felt like I was surrounded by all these rock stars. Seriously. But our Florida chapter is filled with gracious, down-to-earth writers who cheer each other on and who pick you up off the floor when you want to quit. Maybe I would have fulfilled my dream of getting published without SCBWI, but it definitely wouldn’t have been as much fun or as rewarding. For now, all I really know are my Florida SCBWI pals. Someday, I would love to be able to attend the New York or LA conference and mingle and be inspired by even more writers and illustrators. Goals! Kerry: There are so many words of wisdom I’d love to share, but I think the most important thing is this. Trust yourself…in your writing, in your submission process, in selecting an agent, in considering a publishing house, in everything! Your gut will not steer you wrong. I cannot tell you how many editors and agents told me to give up on Just a Drop of Water. Some said the world wasn’t ready for a 9/11 book. Some couldn’t believe I’d written a 9/11 book that wasn’t set in New York. Some said even though they loved it, they’d never be able to sell it. But, I knew the story was important. And I wanted to tell it. I’d done my homework and was confident that there was a market and a need for a story like this. It would have been easy to stick the manuscript in a drawer—as was recommended to me so many times—and never pursue its publication, but I trusted my gut and kept at it. And look at it now. It’s won awards and made state reading lists. I’m so grateful that the book is reaching students all over and giving them a glimpse of what those days following 9/11 were like. Never give up on something you believe in. You are your book’s best advocate. After reading the manuscript, I completely fell in love with the meaning behind the book title and wanted to express it visually and symbolically. My process always involves creating a mind map to extract imagery from words and piece them together. After doing several sketches, the cover composition finally emerged and it perfectly captured the essence of the story. Once the initial phase of developing the concept was completed and approved, I went on to take photo reference. I actually asked a friend to model for the running legs. We used the lawn hose to create a puddle in the street, and then I asked him to sprint (several times) until I got a great shot of tennis shoes splashing in water. The final artwork is a combination of traditional oil painting and digital painting. We are thrilled that Kerry won the Crystal Kite for the Southeast Region. Kerry is hardworking and organized. She wrote her book, Just a Drop of Water, while also giving SCBWI Florida big chunks of her time as Conference Critique Coordinator. 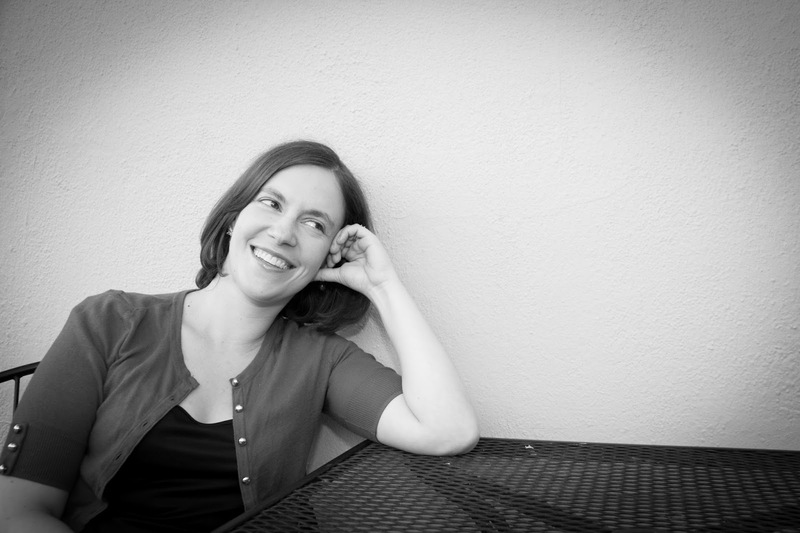 Twice a year, she oversees the matching and scheduling of more than 100 manuscripts with editors, agents and writers and setting up times for the face-to-face sessions. It can be a thankless job but she and her team have been successful in creating matches that resulted in contracts for representation and book sales. SCBWI Florida hosts a regional conference in Miami in January and a five-track craft workshop each June in Disney World. We also have Boot Camps Across Florida in September as well as free meetings around the state throughout the year. Learn more about the author, Kerry Cerra, at this website here. You can find out more about cover artist Katy here. And find out lots more about SCBWI Florida here. Congratulations again to Kerry (and Katy) on "Just A Drop Of Water" winning the 2015 Crystal Kite Award! Light source, yeah. Good point! And you can visit Oliver's website here. 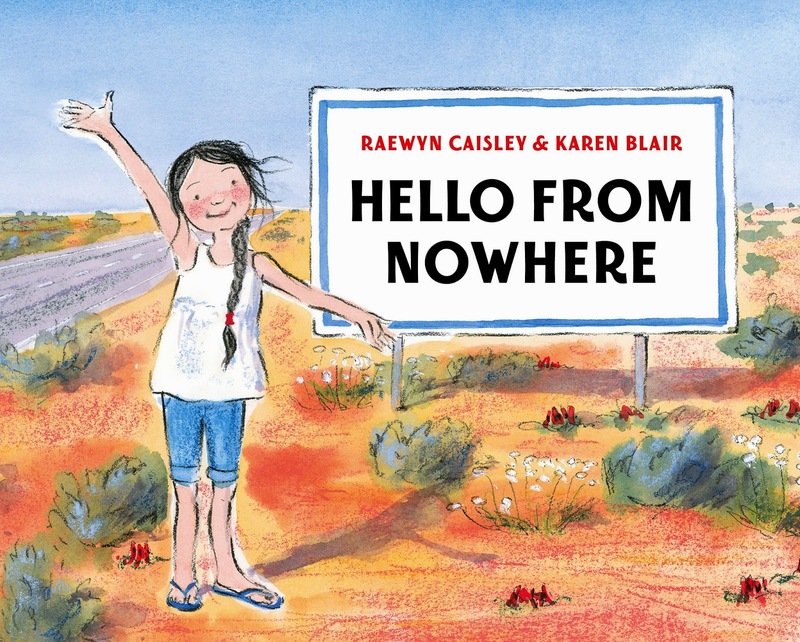 The 2015 Crystal Kite Award in the Australis/New Zealand Division goes to Illustrator Karen Blair for "Hello From Nowhere," written by Raewyn Caisley! Illustrator Karen Blair, whose "Hello From Nowhere" won a 2015 Crystal Kite Award! 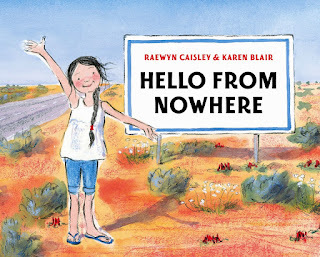 Karen: "Hello From Nowhere" is a picture book about Eve, a girl who lives with her dad in the Nullarbor in Australia’s outback. It is written by Raewyn Caisley who was inspired by her time in this unique environment when she moved from New Zealand to Australia and ran a roadhouse for 2 years. Eve loves living in the middle of Nowhere, but she misses her Nan who has never visited from the city. When she does eventually come, Eve can show her all the wonderful animals and sights that make it so special like 200 kangaroos at dawn or the infinite stars in the night sky. Hello From Nowhere includes themes of place, belonging, family and relationships with the land and people. I felt a connection with the long distance relationship between Eve and her Nan, and that special, intense time of coming together to share everything and then the bittersweet farewell. 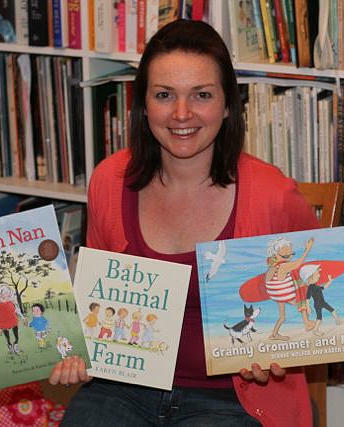 Karen: I joined SCBWI Australia West in 2007 and was instantly inspired by the people I met. At that stage I was pre-published and although I knew that making children’s books was my dream, I didn’t really know how to go about it. At the first big event I attended, the SCBWI West Conference in 2008, I had the opportunity to meet a publisher, so I created a storyboard and took it to Sarah Foster who was the Publisher at Walker Books Aus/NZ at the time. She gave excellent feedback and although that work was never published, making that contact and having face-to-face communication was so important. Also, hearing her talk about what they were looking for and how they approached books was really important. She went on to publish 3 of my books. 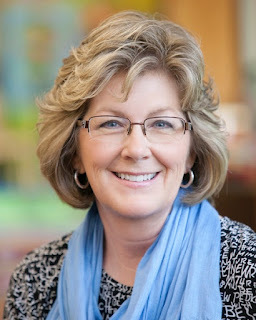 Since then I have attended local conferences, meetings, retreats, forged very strong networks and friendships, professional relationships, made further contact with publishers and a mentoring program, illustrated 7 books including Granny Grommet and Me by Dianne Wolfer who was SCBWI Regional Advisor at the time! I love the mix of pre-published or “newbies,” recently published and well-established book creators who are all willing to guide and help each other (as well as have a lot of fun!). Western Australia is very isolated which I think helps to foster a sense of camaraderie amongst our group. SCBWI has really been a very important part of my growth as picture book creator and the support I get from my peers is really incredible. It has also been wonderful to see my friends' careers go from strength to strength. Karen: I am mostly an illustrator, but I think this holds true for writers as well - keep up your creative “fitness.” I try to sketch as much and as often as I can, doing heap and heaps of practise sketching before doing any final work. Embrace the process - its my favourite part. Also embrace publisher feedback. You can get so caught up in what you think is working, but fresh eyes can point out obvious or even subtle things to change or slightly alter to make the book the best it can be. I have also recently been attending workshops with artist to learn different techniques, since I didn’t do any training to become an illustrator! I just hope I keep getting better in little ways and I can keep enjoying making books that are challenging and make me feel connected to the story and hopefully put a little of that in the illustrations. SCBWI Australia and new Zealand love Karen Blair who is one of our new, young talented SCBWI protégés. Enormously gifted, she’s always been a writer and illustrator, like so many children’s book creators. SCBWI welcomed her into the community and she has flourished, receiving awards, publishing contracts and friendship. It’s such a great pleasure to see the support of SCBWI Australia and New Zealand has been part of her creative journey. Being awarded the Crystal Kite Award is our celebration of her talent. 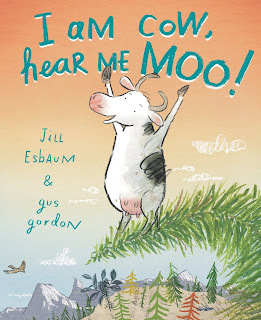 SCBWI Australia East & New Zealand and SCBWI Australia West celebrate so much talent and bring together two countries through children’s books. SCBWI Australia and New Zealand has become the prime organisation for Australian children’s writers and illustrators Down Under. There is enormous energy here, with events, conferences, get together retreats, launches, industry talks, professional and personal friendships. SCBWI is increasing the conduit to most of the writing organisations in Australia and New Zealand including the Children’s Book Council, our Writers Centres, literary festivals and competitions. We are now on a brave new venture called WRITERS in the PARK. SCBWI leads this festival, collaborating with our historic Centennial Parklands where Australia was declared a nation and The Residences the only heritage houses in the Park where visitors can stay. Speaking are 50 authors, illustrators and publishers including some of our best and brightest established and emerging SCBWI authors and illustrators. James Foley the new RA from Australia West is flying to Sydney to launch his brilliant new hilarious zombie bunny book, ‘My Dead Bunny'. The malt award winning Anna Pignataro is flying from Melbourne to Writers in the Park where I will launch her beautiful picture book ‘Being Agatha.’ Our talented ARA illustrator Marjorie Crosby-Fairall and IC Sarah Davis who just did the covers for American Girl and has won endless awards are coordinating the illustrator duel and the illustrator hands-on tent. 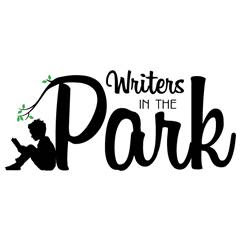 What’s at Writers in the Park? There are two stages, a cartoonist corner, illustrator SCBWI tent, stands and much more. We have included many literary and literacy organisations from the Society of Women Writers, Room to Read www.roomtoread.org bringing literacy to the children of the developing world, The Footpath Library which provides books to the homeless, to the Charles Dickens Society. How can we have this festival without ‘A Christmas Carol’ and Scrooge. Charles Dickens’ statue stands in Centennial Park, only one of 3 Dickens statues in the world. 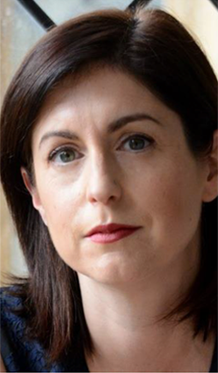 Writers in the Park reaches across Australia and New Zealand celebrating books and ideas in this inaugural literary festival. Love SCBWI across the world to join into Writers in the Park through facebook, twitter and support our brave new adventure in the world of children’s books. Learn more about Karen and her illustrations at her website here. You can find out more about SCBWI Australia East & New Zealand at their regional website here. Thanks again to Karen and Susanne, and Congratulations again to Karen for "Hello From Nowhere" winning the 2015 Crystal Kite Award! 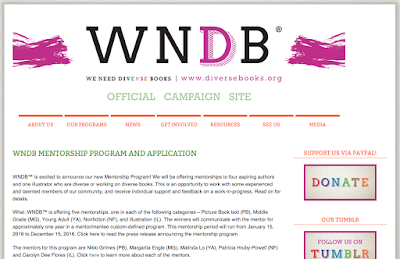 "partnering award-winning writers and illustrators recognized for their diverse publications with upcoming writers and illustrators who are diverse or working on diverse publications." Year-long mentorships will be awarded in five categories: picture book text, illustration, nonfiction, middle grade fiction, and young adult fiction. 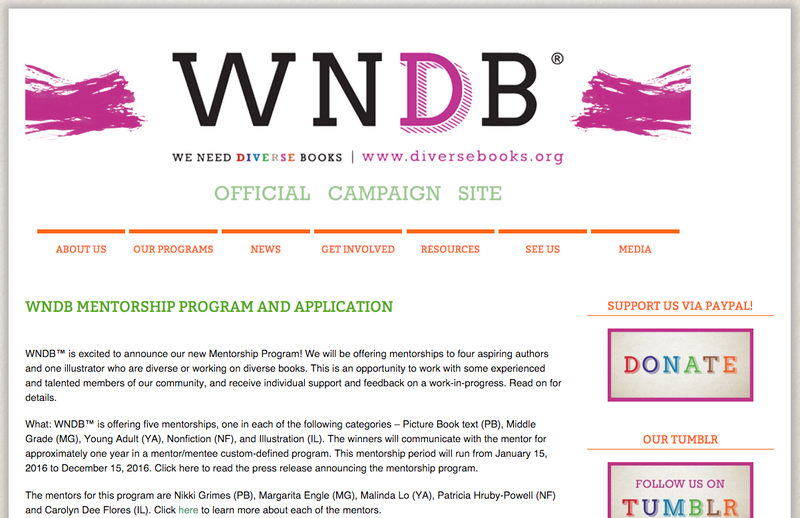 The WNDB™ mentors are: Coretta Scott-King Award winner Nikki Grimes (Picture Book), Robert F. Sibert Honor recipient Patricia Hruby Powell (Nonfiction), William C. Morris and Lambda Literary Award finalist Malinda Lo (Young Adult), Newbery Honor recipient Margarita Engle (Middle Grade) and Skipping Stones Award-Winner for Excellence in Multicultural Literature and Tomas Rivera Award finalist Carolyn Dee Flores (Illustrator)! It sounds like an amazing opportunity! You can find out more and apply at this link. Submissions close on October 31st. It's fascinating to see these glimpses into their creative spaces! In the Canada division, the 2015 Crystal Kite Award goes to "Bog" by SCBWI Canada East member Karen Krossing. 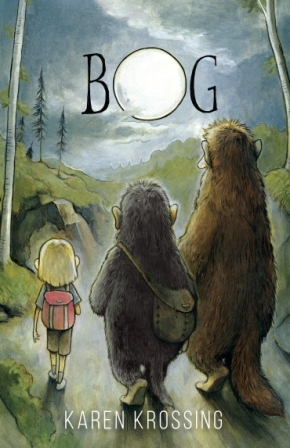 Karen: In the midnight forests of the north, a cave troll named Bog has spent his young life hunting with his father and avoiding humans whenever possible. When his father is mercilessly turned to stone by the Troll Hunter’s followers, Bog sets out to find the murderers and avenge his father. But with no leads and little knowledge of the human world, Bog knows his journey won’t be easy. Along the way, he meets a huge forest troll named Small and a young human girl named Hannie. Together, they venture deeper into human territory, where they learn of the legendary Nose Stone—a rock rumored to bring a stone troll back to life. Hope fills Bog’s heart, but when he discovers the Troll Hunter is also going after the Nose Stone to destroy it, his quest becomes a race of cunning, trickery, and wits. School Library Journal called Bog "an intriguing, fantasy world of deep forests, magic, and friendship." You can listen to an excerpt from Bog here, and view the book trailer here. Karen: I've been a SCBWI member since 2011, and I've attended conferences in New York and Canada. Membership gives me camaraderie with like-minded creators, industry insights, and ways to improve my craft. If you're a writer or illustrator for children, joining creator organizations like SCBWI is a must. Karen: Child readers are honest. If they don’t like a book, they’ll simply stop reading it. Authors for children must write a compelling first sentence that captures readers’ attention. Then they must entice readers to turn each page until they finish the story, breathless and ready for more. Hone your idea before beginning to write. A brilliant premise, deeply developed characters and at least a rough plot are the foundations of great writing. Once you have an exceptional idea, remember that the craft of writing lies in the revision process. I like to get constructive feedback from fellow writers whose opinions I trust. I evaluate their feedback to determine how to polish the work, including rewriting multiple times. Canada East covers half of Canada - From Ontario eastward to maritime provinces. We hold a major conference once a year - our next one being April 29 - May 1, 2016 in Ottawa. We have several different critique groups throughout Canada East and hold monthly Get togethers in three different cities throughout our area - Ottawa, Toronto and Montreal. We are always looking for people in other areas who would like volunteer to help organize Get Togethers or critique groups. Canada East is finalizing together last minute details and will be launching our joint mentorship program with SCBWI Florida within the next week. We are also teaming up with CANSCAIP to have a children’s writer’s presence in the upcoming Canadian Writer’s Summit in June 2016 in Toronto. The Canadian Writer’s summit is being organized by 18 Canadian writer’s organizations. Find out more about Karen at this website. You can learn more about SCBWI Canada East here. Congratulations again to Karen on "Bog" winning the 2015 Crystal Kite Award!